You’ve found the love of your life and want to get married in France? There are a few legal matters you should be aware of before tying the knot in one of the most romantic countries in the world. Below are a few of the questions that you may want to ask yourself before taking the plunge. Q: What are the general requirements to be married in France? A: Before thinking about getting married in France, there are a few substantial requirements to keep in mind. In France, the legal age to get married is 18 years old and minors can only be married with the consent of their parents. Both future spouses must be present for the ceremony in order for the wedding to be valid. A marriage in France must take place at the town hall (mairie) and must be conducted by the mayor or one of his/her representatives. A religious wedding ceremony conducted by a member of the religious community will not be recognised as a valid marriage without this civil ceremony. If the newlyweds wish to have a religious wedding ceremony, they must do this after the civil ceremony at the town hall and must present a marriage certificate to the priest, rabbi, minister or any other religious official before the religious wedding ceremony can take place. In addition, polygamy is strictly prohibited in France and a prior marriage must be entirely dissolved before any new marriage can take place. Q: Can two foreigners get married in France? A: The answer is yes. Two foreigners can get married in France just as two French nationals can get married there. There are, however, a few additional administrative considerations to think about before the wedding ceremony can take place, namely proofs of residency and the translation of any documents written in a language other than French. However, in order to have the legally binding civil ceremony in France, the couple must have resided there for 30 days. Q: What are the administrative formalities required to get married in France? A: This part of getting married in France can be somewhat tedious. It’s true, the French authorities love to have all of the right bells and whistles attached to papers before allowing anything official to take place. To begin with both the future spouses will have to provide their birth certificates. The birth certificates will have to be recent (acquired 3 months prior to the civil ceremony) and “apostilled”. – The documents should then be submitted for an apostille to the Foreign and Commonwealth office. A solicitor’s certificate is only necessary if the future spouses have decided to specify the regime under which they will be married. In some countries, this is referred to as a prenuptial agreement. This document, if it exists, will be asked for by the official conducting the marriage ceremony at the time of the marriage. If the couple does not wish to specify anything and in absence of a solicitor’s certificate, the couple’s marriage will be governed, generally speaking, by the laws of the country in which the newlyweds establish their first residence. This rule is set forth by the Hague Convention of the 14th of March, 1978. For further detail, I recommend that you seek legal advice concerning this matter from a qualified lawyer. This document proves that the person can legally be married (i.e. that they are not already married). It is also known as a “certificate of non imediment”. Forms can be downloaded from the British Embassy in Paris website. This document is absolutely necessary for any foreigner who wish to get married in France. In France, marriages, before they take place, have to be published officially. This document states that the couple are both free to marry in France and that the marriage will be recognised in their home country. Forms can be downloaded from the British Embassy in Paris website. This document simply states your forename, surname, your occupation and that of your future spouse. It also states the name of the persons you and your spouse have chosen to be “witnesses”. In France, at least one person (2 at the most) stands in at the ceremony as a witness for the future couple. Witnesses are absolutely necessary for the marriage to take place. Both you and your future spouse will have to prove that you have resided in the town/city where you are planning to be married for at least 30 days. Two proofs of residency will be required. The type of proof that will be asked for may vary from town to town but, typically, a water bill, an electricity bill or a gas bill can be used as proof of residency. Therefore, non-French residents wishing to get married in France can only have a religious or spiritual ceremony in France after having the civil ceremony in their home country. The final thing to keep in mind when providing this seemingly never-ending list of documents is that when you are not a French national, most of these documents will be written in a different language. As stated previously, any foreign document must be translated in order for it to be taken into account. The translation cannot be done by just anyone and must be completed by an official translator in France (traducteur assermenté près la Cour d’Appel). Q: What law will govern my marriage in France? There are two things to differentiate: the law that will be applicable to determine the validity of the marriage and the law that will govern the effects of the marriage, after you are married. Concerning the first point (which law will govern the validity of the marriage): The marriage will be valid if the newly weds have satisfied all of the conditions that the laws of their country of nationality set forth. Since that is a bit complicated, here are a few examples to help you sort it all out. Example 1: Jack is from England and so is Jill. They wish to get married in France. Jack is 20 and so is Jill. The laws of England allow one to lawfully contract marriage at the age of 16 (with parental consent). Since England is both Jack and Jill’s country of nationality, the marriage is valid. Example 2: Jack is now from Ruritania (fictive country) and Jacqueline is French. They wish to be married in France. Jack is 20 and so is Jacqueline. If the laws of France allow one be get married at the age of 18, the laws of Ruritania are a bit more strict and one must be 21 to lawfully contract marriage in that country. Since Jack is too young to be married, according to the laws of his country, the marriage will not be valid in spite of the fact that Jill, a French national, is of-age according to French laws. 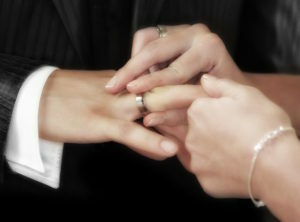 Concerning the second point (which law will govern the effects of the marriage): If you have chosen to obtain a solicitor’s certificate, you can choose, with your future spouse, the regime that will be applicable to the effects of your marriage and, in the worst of cases, to its “liquidation” for a divorce. I would refer you, for further detail, to the articles Divorce and Money and French Marriage Contacts. 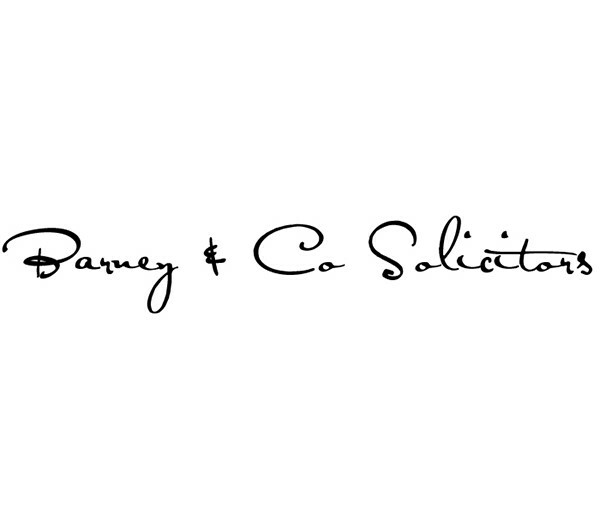 If you have decided to do without a solicitor’s certificate, the effects of your marriage will be governed, generally speaking, by the laws of the country in which you and your future spouse establish your first residence. This guide is meant only to set out the generalities of getting married in France. To avoid any hassle when getting married in France – no marriage should be a hassle – please seek the assistance of a qualified lawyer.